Select a topic from the menu to start learning. We also have a mobile app with over 150 easy-to-understand lessons and nearly 900 interactive exercises. Master English grammar in 10 minutes a day, wherever you go! 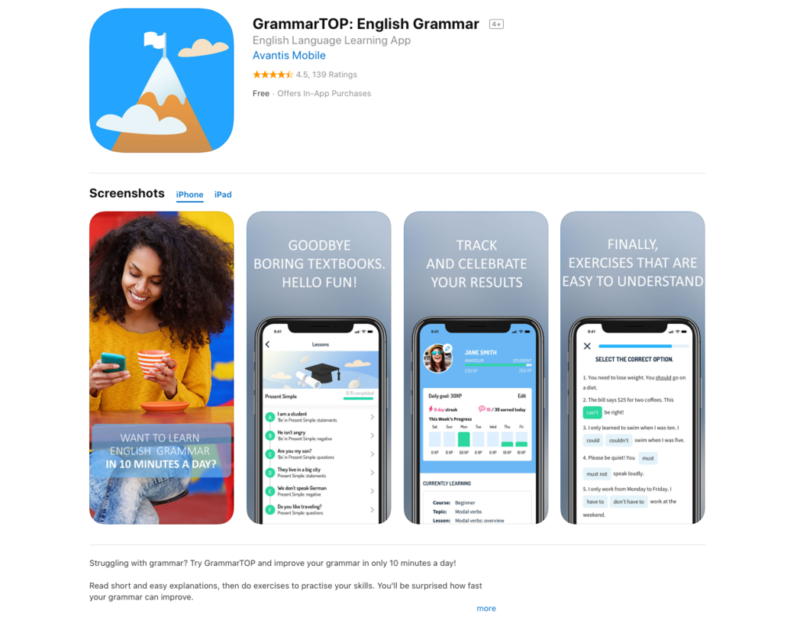 Our mobile app, GrammarTOP, will be useful for anyone trying to master grammar. Get the app now! © 2019 Avantis, s.r.o. All rights reserved.